AccurioPro Compile makes the compilation and printing of extensive documentation a breeze. It is the successor of Printgroove JT Compile, which now comes with new branding. When is AccurioPro Compile the right solution? Use it to print large projects that you need to compile and structure from multiple documents. Operating instructions are often made up of several documents in different languages, which are combined into a manual, with the individual sections separated by tab sheets or slip sheets. With AccurioPro Compile, you can set up such a print project with just a few clicks. Since the application always retrieves the individual documents from their location at startup, you automatically print the latest document version, even if the documents have been edited in the meantime. This saves you a lot of manual exchange work. This is particularly suitable for print jobs that you print repeatedly. The new version of AccurioPro Compile has been thoroughly revised and modernized, especially with regard to user guidance and the underlying technology. You will find more information about the features and a video, in which you can see the most important functions in action, on our dedicated product website. Curious? Request a demo version! 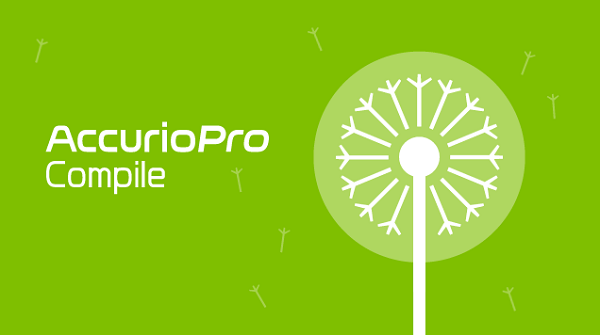 You can test AccurioPro Compile for 30 days free of charge and without any obligation. Visit our product site (where you will find a lot of further information) and complete the form. An employee of Konica Minolta will then contact you and provide you with a demo version.